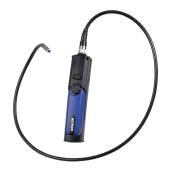 The new VE-200 Wireless Video Endoscope is now available! - Image Inspection Services Ltd.
Home » The new VE-200 Wireless Video Endoscope is now available! This lightweight camera system is perfect for home inspections and industrial applications.